Foreclosures are regulated by state law in every county and parish within the U.S. The process is always similar. Each mortgage holder must receive notice of the intent to foreclose and has a right to bring payments current. The typical notice period is 30 days, and notices are published as a public record. In the past, mortgage companies typically filed notices automatically once a homeowner slipped three months past due. You may have less time today. Dealing with a foreclosure notice strikes fear in the hearts of homeowners. Your future is uncertain, you must find a place to live, or alternatively find a way to make past due payments. In most cases, payments would not slip past due if homeowners have funds available. 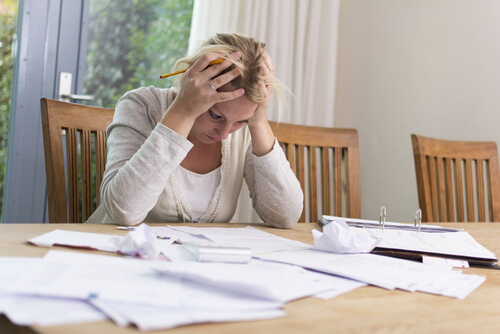 For many people, this unfortunate situation is best resolved through filing bankruptcy. Filing will save your home. The U.S. Bankruptcy Code, in 11 U.S.C. Section 362, contains a powerful provision creating an automatic stay of proceedings. A stay is similar to a federal injunction that prohibits all creditors, in all bankruptcy chapters, to collect debts. The stay also specifically applies to foreclosure sales. Once a case is filed, your mortgage company cannot proceed with foreclosure once receiving notice that you file. Written notice of filing provided by certified mail is sufficient and indisputable, even though a call providing oral notice is also acceptable. The automatic stay is not a permanent injunction. In Chapter 7 cases, a mortgage holder must bring payments current or the court will entertain motions to lift the stay. The motion will be granted and foreclosure resume if you do not make all payments that are due. In Chapter 13 cases, past due payments are included in a proposed plan. Once included in a plan, payments are assumed current and the stay will remain in place. When filing a Chapter 13 case, you must make a proposed plan payment to the assigned trustee within 30 days. If this payment is not made, the stay may lift and the case is subject to dismissal. The best time to plan a bankruptcy case is before receiving a notice of repossession, foreclosure or eviction. By allowing more time to plan, the benefits of filing multiply exponentially. You may optimize the means test result with only a few extra months. This test determines if you qualify to file Chapter 7 and the amount of your trustee payment if selecting Chapter 13. Planning bankruptcy does not require that you retain an attorney. Most attorneys provide only one free initial consultation. Your means test however changes each month. You may compute the means test yourself, each month, and save $400 per test. To do this, you must use a customized form to maximize your results. The official form is cryptic at best and provides little meaningful guidance for individuals who want to file Chapter 7. Can bankruptcy stop foreclosure? A better question is how long will bankruptcy stop foreclosure? Dave Clark welcomes all questions about highly optimized bankruptcy strategies using both Chapter 7 and Chapter 13.